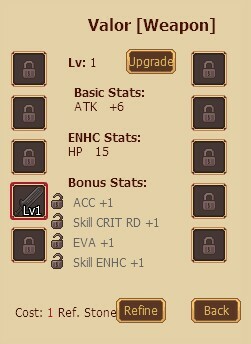 Valor is a feature unlocked at level 60 where players can add stats to their gear. Valor offers various different stat bonuses, and players can purchase Valor Crystals from the market in order to gain additional stats. In addition Valor Refining Stones can be purchased from the market in order to to refine existing stats.